This page opens when you navigate to Web Filter and click Inspectors. Normally, when an allowed URL is requested the Web Filter does not log data for further-allowed requests from the same domain for the next 5 minutes. With Inspectors, you can report fully-allowed URLs in detail. Inspectors can be applied to IP addresses, computer names, or user names. You can have up to five inspectors per tier and up to 15 inspectors per Lightspeed Systems Rocket Appliance. Use Inspectors to turn on fully-detailed reporting for specific users in cases where you need to collect additional data about the user’s web activity. You can use Inspectors in a variety of scenarios, including monitoring the web activity of specific students, obtaining additional information on potential misuse of the internet by students, and for tracking individual student progress and web usage for metric purposes. 1. Click Web Filter, then click Inspectors. 2. On the Inspectors page, click the green “+” icon. 3. In the Add Inspector form, edit the fields as needed. 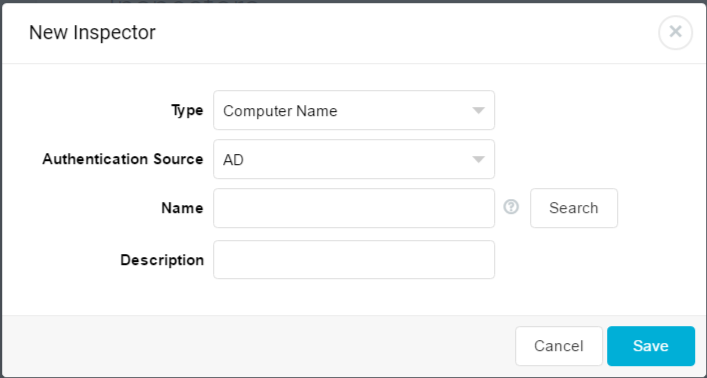 Type – Select IP Address, User Name, or Computer Name from the dropdown list. IP Address – Enter the IP Address for a single user or device. Note: You cannot apply an Inspector to IP addresses in the Internal Ignore List, as these IP addresses are excluded from Reporting. Authentication Source – Select the authentication source for User or Computer. User – Populated automatically when you select the user, group, or OU from the Search results. Search field – Type the name of the user, then click the Search icon to locate and select the name to use. Note: If you are adding an inspector for a Mobile Filter user, you must select User Name as the Type. The Lightspeed Web Filter cannot retrieve information from mobile clients based on IP address or computer name. Description – Enter a brief description for this Inspector. 3. In the Edit Inspector form, edit the fields as needed. Normally, when an allowed URL is requested, the Web Filter does not log data for further-allowed requests from the same domain for the next 5 minutes. 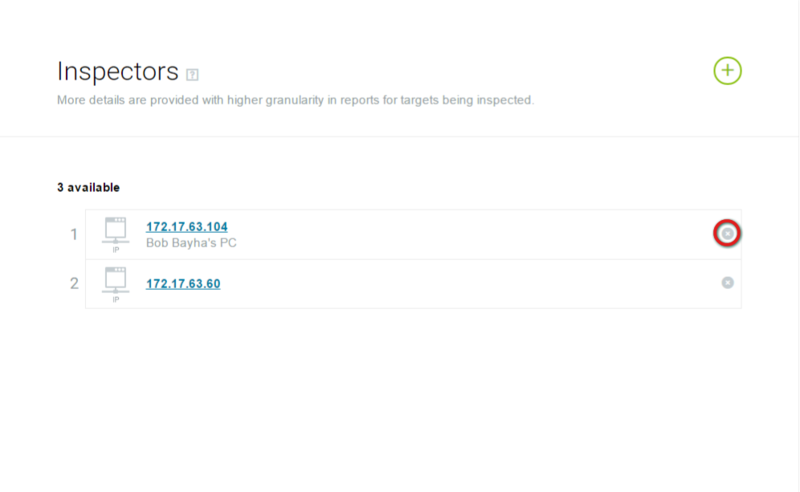 With Inspectors, you can report fully-allowed URLs in detail. Inspectors can be applied to IP addresses, computer names, or user names. Inspected Data is available as a Data Option in the Activity Logs report. 3. Click the Data Options button [ ] in the upper right corner to open the Data Options sidebar, then select (check) Inspected Data. 4. On the Inspected Data dropdown list, select Show only inspector data. 5. Click Generate to create the report.